Homeopathy is a holistic medicine which uses specially prepared, highly diluted substances (given mainly in tablet form) with the aim of triggering the body’s own healing mechanisms. This concept is sometimes used in conventional medicine, for example, the stimulant Ritalin is used to treat patients with ADHD (Attention Deficit Hyperactivity Disorder), or small doses of allergens, such as pollen, are sometimes used to de-sensitise allergic patients. An important difference with homeopathy however, is that the medicinal doses (known as remedies) are so small that toxic side-effects are avoided. It was discovered by a German doctor, Samuel Hahnemann, who was looking for a way to reduce the damaging side effects associated with the medical treatment of his day, which included the use of poisons. He began experimenting on himself and a group of healthy volunteers, giving smaller and smaller medicinal doses, discovering that as well as reducing toxicity, the medicines became more effective as the doses were lowered. He also observed that symptoms caused by the toxic ‘medicines’ of the time, such as mercury which was used to treat syphilis, were similar to those of the diseases they were being used to treat, which led to the principle he described as ‘like cures like’. 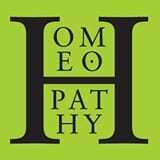 What happens when you see a homeopath? About homeopathy. helps to explain what individualised homeopathic treatment is all about, and how it could be the safe, gentle and non-toxic healthcare choice you’ve been looking for.